Skin irritation and general discomfort are much too common among regular users of disposable gloves. 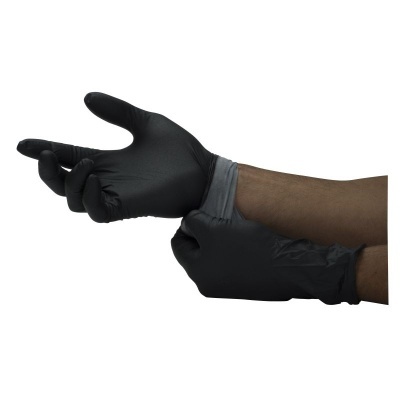 The Megaman N20688 Absorbent-Lined Disposable Nitrile Gloves (Box of 50) are latex-free and powder-free, ensuring not only excellent protective qualities, but maximum skin comfort as well. Accredited by the Skin Health Alliance, these disposable nitrile gloves are guaranteed to keep hand irritation to a minimum. The Megaman Disposable Gloves use three advanced technologies that ensure their top performance and skin comfort. MilTek delivers a more consistent material thickness across the entire gloves, which demonstrates less tear, better tactility and a better quality consistency. 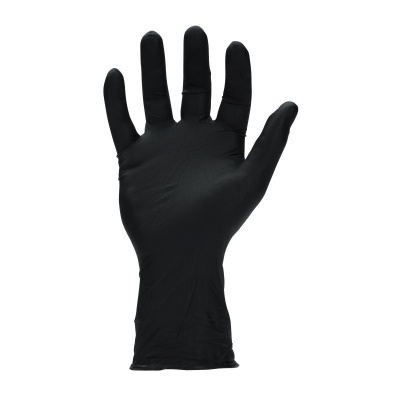 TouchTek protects your skin and prevents contamination by reducing chemical residue on the gloves. DryTek is a flock lining that provides a moisture-controlled environment, keeping hand irritation to a minimum. The Megaman N20688 Disposable Nitrile Gloves are available in four sizes that should suit the hands of most users. 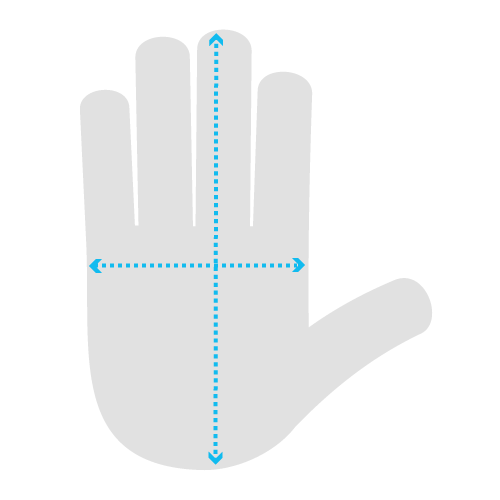 To find the correct size, please measure your hand across the palm and refer to the sizing chart below.